Meet Dr. Stella Bard - Arthritis & Rheumatology Care P.C. Dr. Bard is a board certified rheumatologist with over ten years of hands on experience in managing complex medical problems. She is a graduate of SUNY Downstate College of Medicine and completed her fellowship in UMDNJ Robert Wood Johnson. While there, she studied under world authorities in Gout, Lyme Disease and Scleroderma. In the process, she learned the value of an early and accurate diagnosis as well as a proper treatment plan, as many of the cases she saw in a University setting were missed or mismanaged prior to being escalated. Armed with this knowledge, she returned to Brooklyn, where lived for more than 30 years, to set up a center dedicated to treating New York City residents afflicted with rheumatologic conditions. As a long time resident of the City, Dr. Bard is attuned to special health needs its diverse communities. This helped her recognize that some diseases are endemic to sections of the population and building a practice that specializes in treating such rarely seen conditions. For example Dr. Bard’s patient population afflicted with Ankylosing Spondlitis is two orders of magnitude larger then ones seen in most University settings. Located in the heart of Brooklyn, Dr. Bard and her staff are comfortable treating NYC’s culturally diverse population while respecting their unique traditions and customs. She has access to and knowledge of both cutting edge remedies and natural remedies, achieving great results in creatively combining the two for enhanced effect. Recognizing that management of complex medical cases requires a team of professionals, Dr. Bard has developed a network of local partners from across the medical field to deliver an overarching treatment plan for highest-quality results. Each of the professionals has been personally vetted by Dr. Bard with the highest standard in mind – would she trust a health of her own family in their hands? There is no higher level of confidence that we have in our partners! Rheumatologists are often called upon to deal with whole-body problem due to the nature of the diseases they treat. As such, patients find solutions to problems they did not originally come in to address, such as body aches, poor sleep, help with smoking cessation and weight loss. These factors, coupled with Dr. Bard’s congenial personality, lead to successful outcomes and a comfortable environment that has made her a household name in numerous communities. 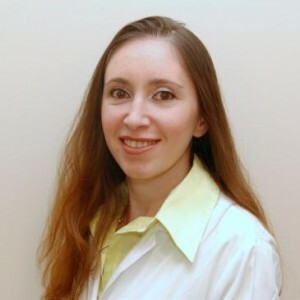 Patients travel to her office from all five boroughs and out of state, sometimes spending over an hour in transit and packing her waiting room because they know that they will receive a proper amount of attention and respect regardless of condition, prior medical history, or insurance coverage; safe in the knowledge that Dr. Bard will treat them as a knowledgeable friend or extended family. If you or your loved one suffers from a rheumatologic disease of just an unexplained condition that affects their well being, come join community of thousands of patients who found relief for their ills with Dr. Stella Bard. Professional, tech savvy, and kind. I spent the best two hours of my life with Dr. Bard on Christmas Day. She”s making the scariest time in my life manageable and not so scary. I appreciate and am very pleased with her grind. She response in an timely manner, she explains difficult concepts with ease and she patiently deals with people in pain. Dr. Bard is a great physician. She has a genuine concern for her patients which seems to be a rarity these days. This is coming from a person who dislikes doctors for the most part. I’ve only had one appointment with her so far and I have spoken to her more times than my primary care doctor. She is very thorough and certainly wants to get down to the bottom of things and make you feel better. I’m glad I found her! Dr.Bard is a caring physician with good bedside manners. She promptly responds to emails and goes an extra mile to provide her patients with the best treatment. Making an appointment is very easy – you just need to send an email and you will get a prompt reply. The office staff is friendly and efficient.